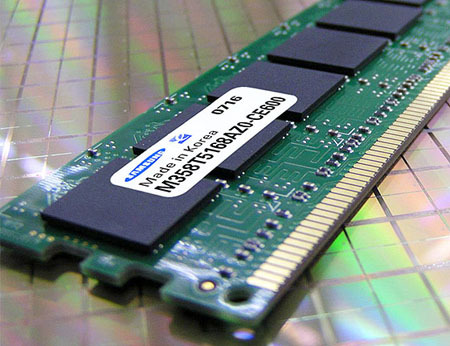 Back in January, Samsung became the world’s first DRAM manufacturer to pack 4GB on a single DDR3 chip. Manufactured on a 50nm technology, they claimed that the new manufacturing process would enable them to push out higher volume modules at more affordable power level and prices. Well they stood up to a part of their claim today, when they announced the worlds first 32GB DDR3 module. But what’s the catch? Its only for servers right now. Though they have released the technology to the market, they restrained themselves from launching it for normal desktop usage. Though the chip’s power requirements are pretty modest – about 1.35V – the sheer capacity sounds like an overkill for the mainstream desktop. I can’t think of any normal situation in which I would need even something more than 8GB of memory. Though the story is quite the opposite for servers. With most of the computing trend shifting towards the clouds, our data centers need more and more juice in order to provide a smooth service, and this is where we can really use Samsung’s new toy. Its based on the RDIMM technology, which is short for Register DIMM – it can buffer large volumes of data to reduce paging requests, and thus improve over all system throughput. Oh and incase you are wondering, an independent study led by IDG in 2008 revealed that 2GB or higher DDR3 modules would make up a little over 3% of the total DRAM usage in 2009, while the percentage would bump to 33% by 2011. And in my opinion, that’s the only logical time when this technology should hit mainstream production.